Jeff Aronin devotes extensive energy to the mission of the Aronin Family Foundation, via healthcare innovation, civic engagement, mentoring, and philanthropy. As founder and co-chairman of MATTER – a health-technology startup incubator – Jeff has led one of Chicago’s most remarkable venture-innovation successes, with over 200 healthcare companies founded and grown over the past five years. Appointed by Mayor Emanuel, Jeff Aronin serves on the executive committee of World Business Chicago, where he is also co-chair of ChicagoNEXT’s bioscience committee. Past board service includes the Economic Club of Chicago, Commercial Club of Chicago, and Young Presidents’ Organization. As a believer in education as a change agent, Jeff Aronin is a mentor to students and young professionals as well as a Board Member of the Chicagoland Entrepreneurial Center. Jeff is also a frequent lecturer at the University of Chicago’s Booth School of Business and Northwestern University’s Kellogg School of Business. Jeff was a Henry Crown Fellow at The Aspen Institute and has served on the Board of Trustees of the University of Chicago Medical Center and Chicago Museum of Science and Industry. 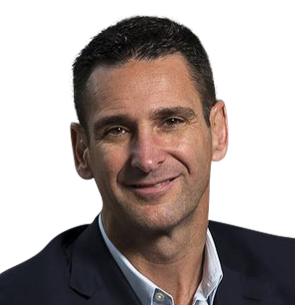 As Chairman and CEO of Paragon Biosciences, Jeff Aronin is also purpose-driven in his “day job.” In multiple therapeutic areas, Jeff’s biopharmaceutical companies have earned more new drug approvals from the FDA than any other pharmaceutical company during the past 10 years. Through novel drug development and venture innovation, Jeff’s companies have transformed the lives of people treated for: complex partial seizures, tonic-clonic seizures, mixed seizure patterns, infantile spasms, Lennox-Gastaut syndrome, Porphyria, Duchenne muscular dystrophy, and Huntington’s disease. Insights Care Magazine recently recognized Jeff Aronin as one of the most influential leaders in healthcare for his extraordinary track record at improving the quality of life of patients with severe diseases, by developing breakthrough medicines to treat those conditions.